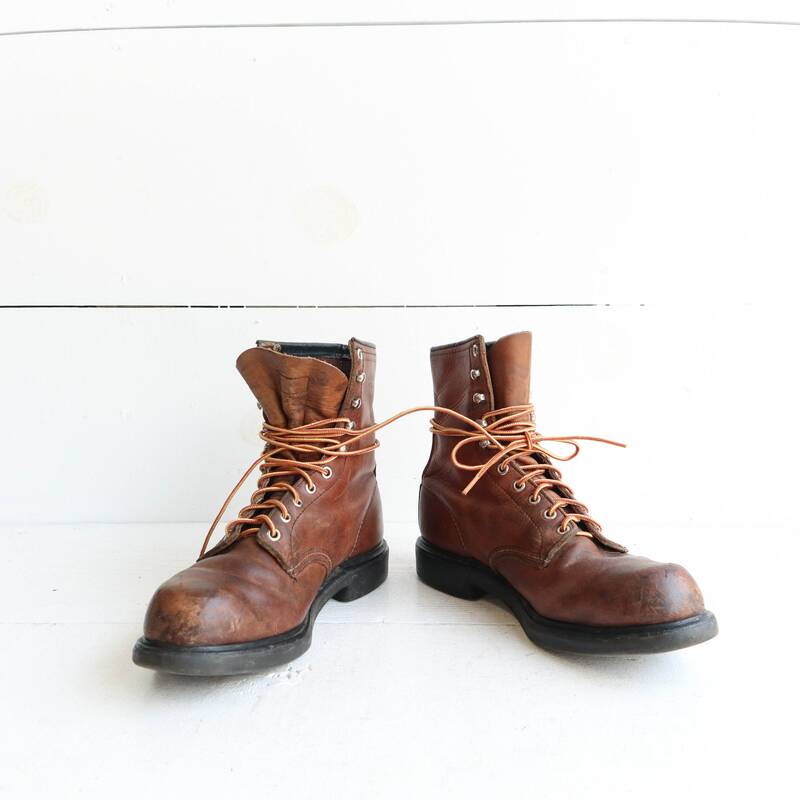 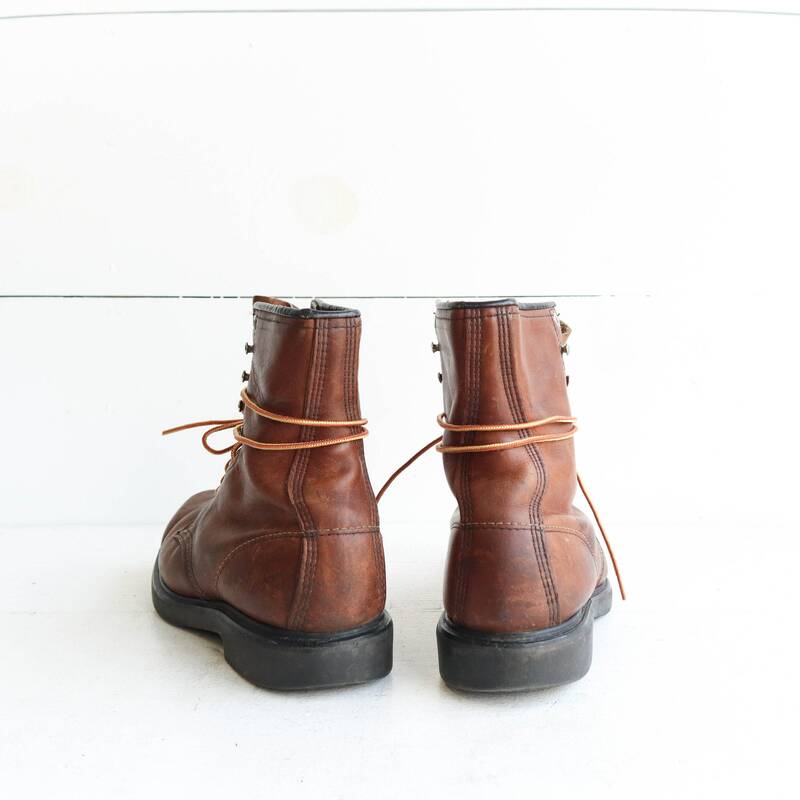 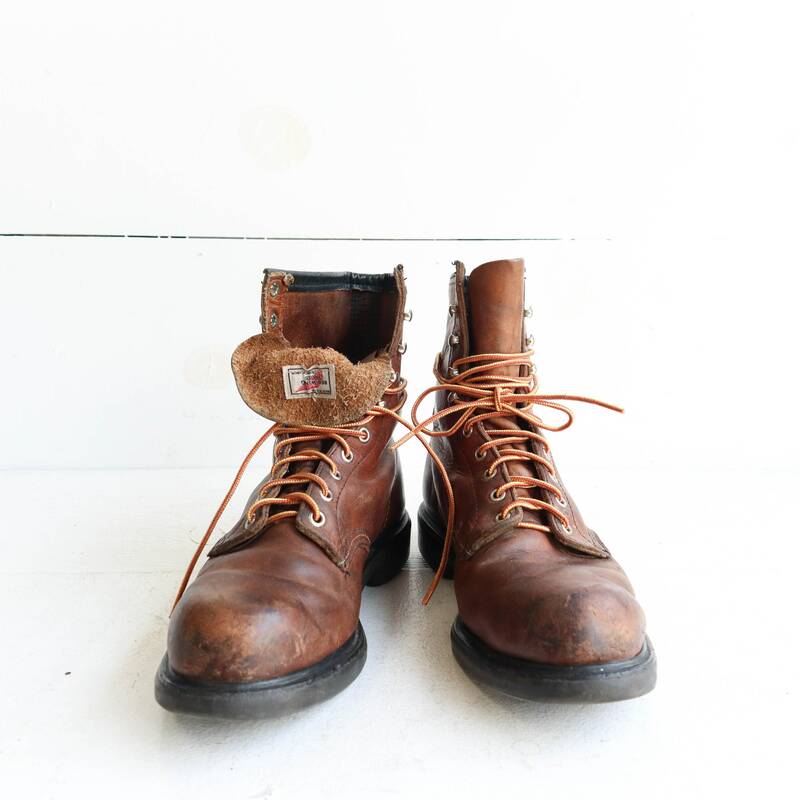 The Red Wing work boots are a bit worn in, but in good shape. 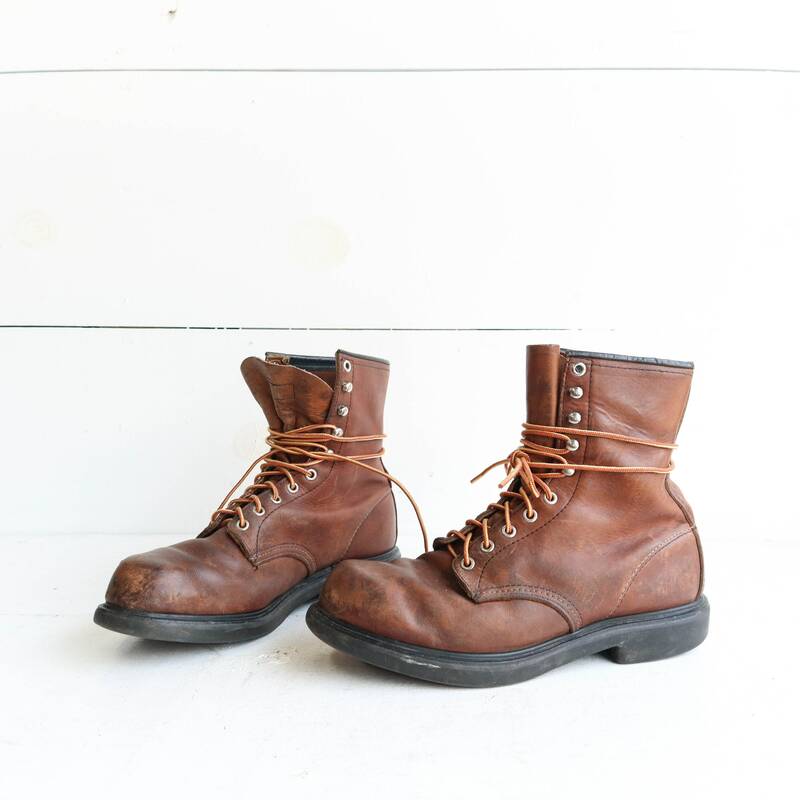 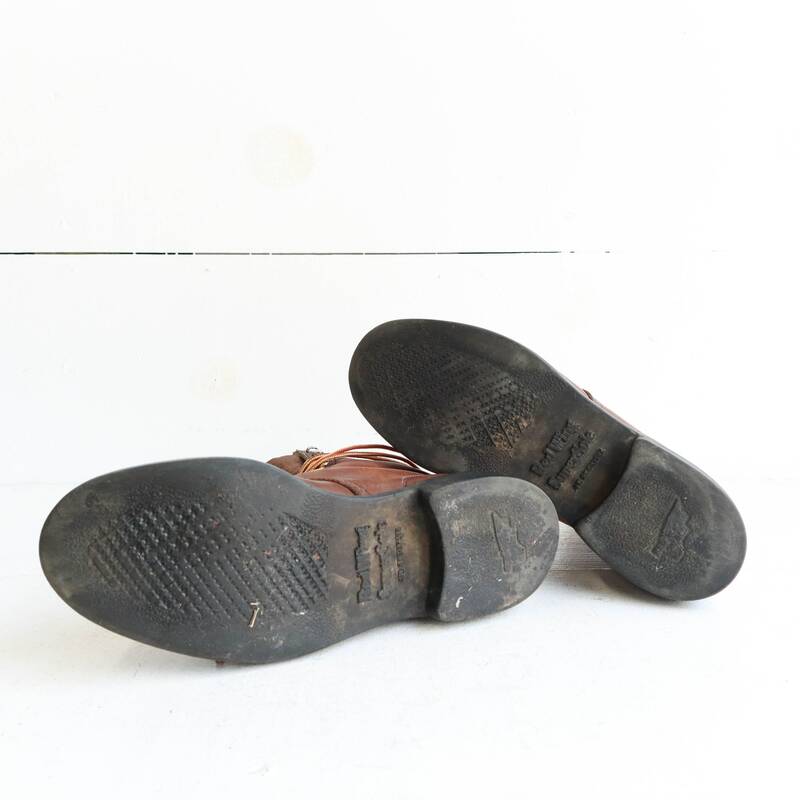 The boots have round toes and oil resistant sole. 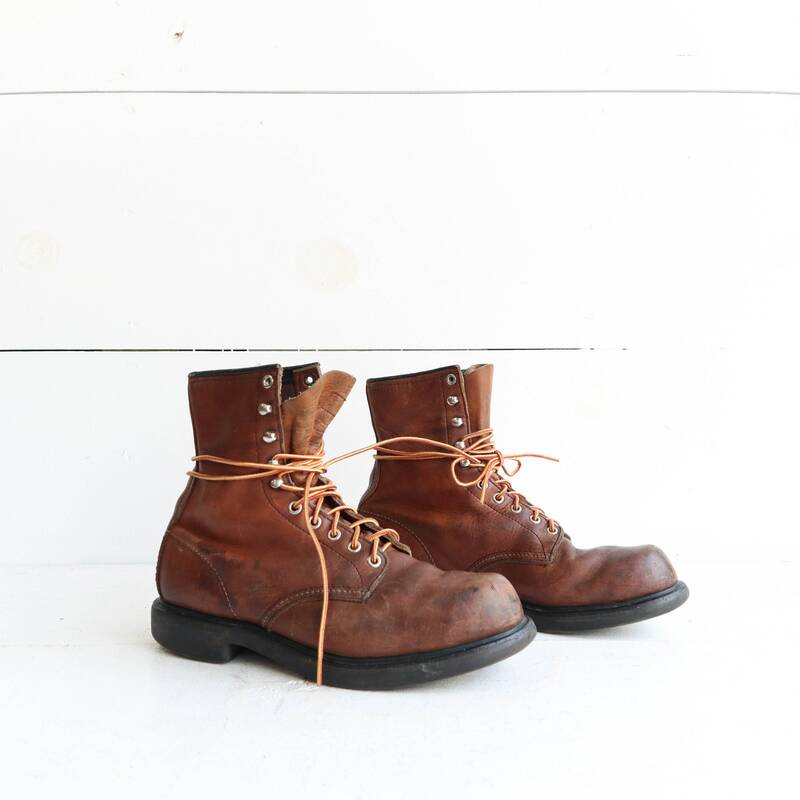 They lace up the front via a series of quick hooks.